REDUCED - NOW $1,150,000! OFFICIAL LISTING - THE KINK TEAM - www.TheKinkTeam.com - 281.364.4828. 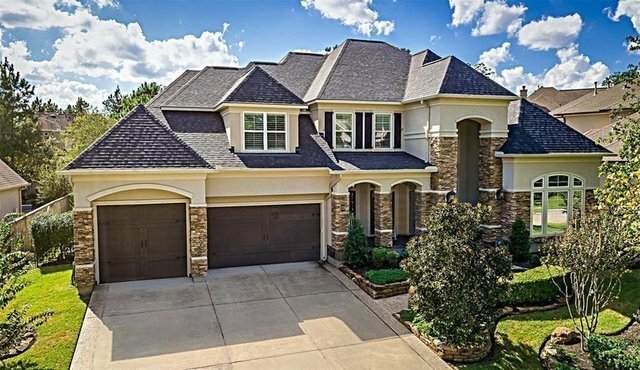 With an exceptional floor plan & Southern flair, this gorgeous home features timeless detailing & custom upgrades. Built by Keith Morgan, this exceptional home is located within walking distance to highly rated schools, recreational facilities & parks in the desirable Woodlands Player Golf Course community. A grand two story entry opens to a view of the outdoor entertaining area and a freshly painted interior enjoys Quartz Calacatta counters, Travertine & wood floors. Additional features include clear view plantation shutters, gourmet kitchen, custom cabinet fronted appliances, stunning new lighting, Chandelier's & hardware throughout. Formal dining, library, master & en-suite guest rooms down. Game room, huge media with kitchenette & surround sound up. Outdoor highlights include updated landscape front/back, pool/spa & outdoor pavilion with gas/wood burning fireplace & grilling station plumbed for water & electric.